Never before released on vinyl in America. Import copies came and went, quickly becoming collectible. Now spread over two LPs! 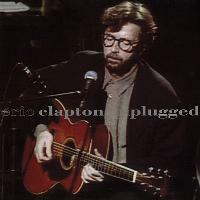 Eric Clapton's Unplugged was responsible for making acoustic-based music, and Unplugged albums in particular, a hot trend in the early '90s. Clapton's concert was not only one of the finest Unplugged episodes, but also some of the finest music he had recorded in years. The music was straightforward and direct, alternating between his pop numbers and traditional blues songs. The result was some of the most genuine, heartfelt music the guitarist has ever committed to tape. And some of his most popular - the album sold over seven million copies in the U.S. Unplugged won the 1993 Grammy Awards for Album of the Year, Best Male Pop Vocal Performance and Best Male Rock Vocal Performance. "Tears In Heaven" won the Grammy for Song of the Year and "Layla" was named Best Rock Song. Mastered at Bernie Grundman Mastering. Two 180-gram LPs pressed at Pallas. Packaged in a two-pocket direct-to-board gatefold jacket at Furnace. Customer Reviews (5.00 Stars) 8 person(s) rated this product. There is a good reason for 6 Grammys. Would add that this is remarkably great considering it is a live recording. Must Have for a Clapton or Vinyl Fan! This is simply an incredible recording and the pressing is stunning! I highly recommend this album, it is a "must have" in a collection. Get it. Well worth the wait. Although it's most likely from a simple digital transfer, the cutting, vinyl and sonics are very good. Very good job all around. Doubt it'll get better than this. It is the best !!!!!! This is a must buy !!!! I'm an Eric Clapton fan, and a fan of vinyl. The accolades given this album are completely justified. Nice quality package. IMO, the power of the music shines on this record, so much so that I feel like I'm there. Just excellent.